William “Bill” Sevrens was born in Boston, Massachusetts on June 12, 1916. He was the son of Chester Stanley Sevrens and Nantucket native Marion Cook Sevrens. William Sevrens had many connections to the history of Nantucket. He was a direct descendent of Tristram Coffin who led investors in 1659 to purchase Nantucket from Thomas Mayhew and settle the island. Sevrens was also the great grandson of Captain Henry Coleman, of Sconset. Sevrens visited the island every summer from birth. After his father passed away, his mother brought the family back to the island, where he graduated high school in 1933. At a young age, he visited the shop of well-known local character and fourth generation basket maker Mitchy Ray, where he was introduced to basket making. 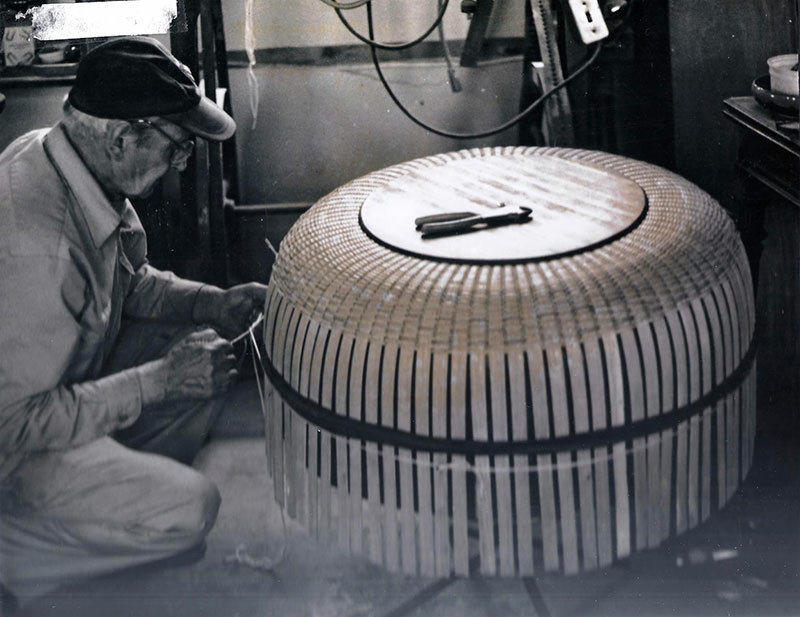 Although legend suggests that a Nantucket basket is not a real Nantucket basket without a penny in it, it was actually Bill Sevrens who started the tradition. While mentoring young Sevrens, Mitchy Ray suggested that Bill mark his basket in some way in order not to confuse their baskets. Bill glued a penny inside his baskets thinking it was also a nifty way to date them. Bill Sevrens continued his practice of basketry while he worked various jobs as a plumber, insurance salesman and real estate broker. He did not embark on a full time occupation of basket making until the early 1960s. He made his own molds, and developed several other forms that were used as molds. In addition to making baskets, Bill taught students traditional basket making techniques. Instead of making multiple molds of the same size, he made fiberglass castings of his molds that were used by his students. 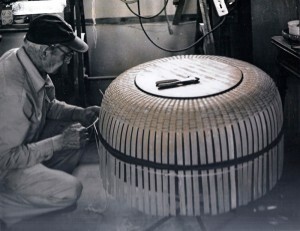 Sevrens played a significant role in keeping the craft going, having learned from Mitchy Ray, and becoming a teacher in the “old way” of basket making. His work in basket history is notable, respected and cherished.